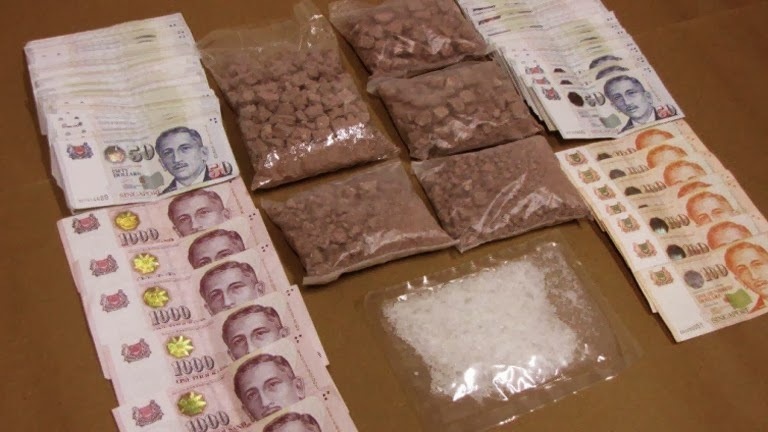 Singapore has one of the strictest laws on drug-related offences. The most well-known drug penalties of these have to be the laws on drug trafficking which command a capital punishment. Notices which warn of the severity of such offences are prominently displayed at Customs in the airport or ferry terminals to deter likely offenders. Singapore’s law on the legality of drugs comply with most of other countries of the United Nations but may differ from other more drug-liberal countries such as Netherlands, Belgium or United Stated. One good example is the legalization of the use of marijuana to a certain extent in some states of America. The country is governed by the Misuse of Drugs Act (MDA) which list out the drug penalties for possessing or consuming drugs such as Ecstasy in the country. Though so, the government has recently lessened the severity of drug penalties for some cases, especially for drug mules who has been forced into drug trafficking against their will. The table below shows the list of controlled drugs and their offences based on Singapore Law. It is not limited only to trafficking, but as well manufacture of the drug or its salt, import or export of them. In 2012, a surprise move was taken by the government by announcing its plans to amend laws that dictate mandatory death penalty for drug traffickers and the new bill was passed down soon after with little opposition, The proposed new law give the court discretion to sentence convicts of drug-related crimes to life imprisonment and caning if they cooperate with the authorities in “substantive way”. Yong Vui Kong, a Malaysian, becomes the first person to be spare the gallows after the implementation of the new drug rules whom is sentenced to hang in 2009. Yong was caught in 2007 in Singapore when he was 19-year old and was charged with trafficking 47.27 grams of heroin. A judge ruled him as a drug courier instead of a major supplier or distributor for drugs which reduced his sentence to life imprisonment and 15 strokes of cane.